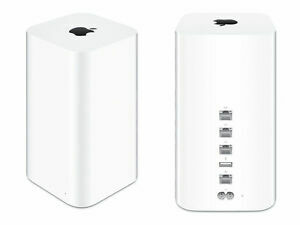 Set up a fast wireless network in your home with the Apple Airport Extreme Base Station. 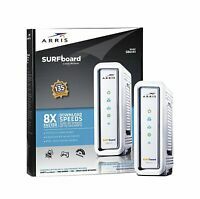 This wireless router uses 802.11ac technology with support for both 2.4 GHz and 5 GHz bands, so your computers, Apple TV, and iOS devices can get a clear signal and a faster connection. The antennas positioned on top also help provide a strong signal. Go beyond just sharing web access by connecting a printer and external hard drive to the unit so that everybody in your home can use the same printer and access needed files. You also won't have to worry about a complicated installation, thanks to the router's setup assistant that helps you quickly configure a wireless network. We have always had troubles with routers in the past, mainly because we always pick the cheaper ones at Walmart. After dealing with issues for months with our lynksis we finally decided to upgrade. I've never even considered an airport before thinking they might not work great with non apple products, but now that everyone in the house started using apple products I figured it would be a great time to try one out and I'm so glad I did. Before our average download speed was ruffly 14 mb but now we are averaging 110mb and with minimum hiccups with our non apple products. The only issue I had was getting my PS4 to signing in to the store, but by the time I got off work it was working fine without having to change anything. The setup was 10x easier than any other router I've ever used and I was able to do it straight off my iPhone with out looking at any sort of instructions. Love this rough tee and would highly recommend any one try it out as long as you have at least one apple product to set it up with. Out of the box Apple Extreme stations work well, almost no tuning required. I use multiple of these base station to fill my house with WIFI. I now have few dead spots. Coverage is very good. Only downfall, is apple's short warranty. Had 1 unit burn out at 14 months, and no coverage from apple. The Apple Airport Extreme is the best WiFi router available on the market if you don't need VLAN's. It's a simple plug-n-play device. Connect the WAN port to your ISP's DSL or Cable Modem and hit the reset button the back, turn on the Airport Utility on your Mac (you did get a Mac, too right?) and it's right there, ready to be configured. In about three steps it's ready to go. Connect any wired devices to the three LAN ports and maybe a USB hard drive to the USB port and you have a full on LAN device delivering NAS services to your Mac for Time Capsule and file sharing. I've never set up an easier in-house network. My aging Airport Extreme was showing its age and while I wanted the faster speeds afforded by the 802.11ac in the newer model, I worried about having to set up the new network. Fortunately, there is an easy way to simply copy over all your old Airport's settings and placing them into the new one, so I had everything up and running in 10 minutes! My only problem with this model is the lack of a USB 3.0 (Apple still uses a 2.0), but other than that, it's solid. As with most Apple products, ease-of-set-up and overall use is a given. Apple's Aport Extreme is no exception. 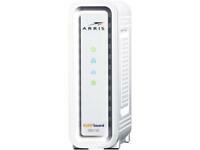 I upgraded to this model from the original Airport Extreme. It's definitely faster than the original. But, the real difference for me is coverage. We have an irregular L-shaped home with 2 levels - around 3,500 sf. Since the antennas are in the top, the new Airport Extreme has much better coverage throughout the house.